Do you enjoy working with children? Do you think that you would like to pursue a career that would allow you to work with small children? Are you a trustworthy person who parents would feel is capable of caring for their children while they take care of their prior obligations? Are you organized and able to function on a schedule so that the children you care for (as well as their parents) know what to expect? If you were able to answer each of these questions with a confident yes, then you will definitely want to continue reading so that you can determine if owning your own day care will truly suit your professional goals. Start by researching schools below that offer child care services training. Although it is not required to have a college degree in order to be qualified to own your own day care, having completed at least some level of a college degree program is likely to give you an edge against other individuals in this industry. It is also important to understand that you will be required to have a valid license from the state that your business is located in. Generally speaking, you will have a set of criteria that you must meet in order to be eligible for your licensure and certification. While you may think that taking care of these necessities is not necessary, you will likely be surprised. After all, in today's hustle and bustle society where both parents typically work outside of the home, the need for sufficient and stable day care for their children is a top priority for parents. As you develop a plan for your daycare facility, perhaps the first thing you will want to check off of your list is that you have a safe and inviting environment for the children you will be caring for. Ideally, you will want to ensure that there are no hazards that could potentially harm the children and you will want to have a considerable amount of items that will interest a variety of kids during designated play times. While many day care facilities will not plan activities that will address educational needs of growing and developing children, it will be wise for you to include academic factors into how your facility is operated. After all, parents will want to send their children to a facility that helps them feel like they are getting the most for their money. Visible academic growth by the children that you care for will surely help your reputation grow in a positive manner. In order to be successful, it will likely be in your best interest that you set prices for your services that are competitive when compared to other day care facilities in your area. In addition, your positive recommendations from satisfied parents will help your business tremendously. Therefore, it will be important that you can communicate effectively with your parents and that your expectations and all business aspects are clearly and appropriately performed. Start with your associates degree in child care services. Start your child care services training out right with a good school. You can find schools that offer online training or search by zip code and find a campus based college near you. It is recommended that you earn your Associate’s degree in child care services as it gives you more courses specific to actually running your own child care facility. Below are just some of the areas you’ll cover in your curriculum. Child Development – In these courses you’ll get an understanding of child care theories as well as learn how to handle different learning situations you’ll encounter. Instructors will teach you how to develop and implement a day care program based on the different ages of the children. 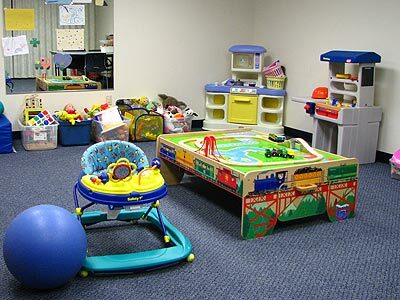 Day Care Business – Get a full understanding on how to operate a day care business. Get details regarding licensing, accreditations needed and insurances. Also each state has different regulations regarding operating this type of business so it is advised that you follow up with your state and city directly before opening up any business dealing with child care. Activities – Learn about the different types of developmental activities for children as well as the different types of equipment used based on age groups. Parents – Dealing with parents and even nontraditional families is something you’ll learn about during parenting classes. These courses will teach you how to handle situations regarding families that perhaps have divorced parents or even if a child is under the supervision of a grandparent. Knowing how to deal with situations like this is a must for anyone in the child care services industry. Budgeting – Will you be in charge of budgeting for your new career? Be taught about budgeting for teachers’ salaries, facilities (rent or leases) as well as daily expenses. This is extremely important if you one day intend on opening up your own child care services business. Your Associate’s degree or advanced degree is recommended. Health & Safety – The safety of the children you are teaching is your #1 goal. Be taught about workplace safety and how it applies to children. Special Needs – Many facilities whether it be a community center or child care facility will need to be equipped and taught how to deal with special needs children. Some facilities specialize in only special needs children but it is recommend you take a child care degree program that offers courses for special needs children. Below are a few of the places where you can find employment after graduation. These careers usually require you to possess an Associate’s degree in a teaching related program such as child care services, daycare or your actual teacher’s license. Many private facilities however might not require any formal training. One of the great things about the industry is it is expected to grow at least by 17% over the next 8-10 years. The industry current has over 1.31 million jobs and approx. 28% of them are individuals who are self-employed.